This new full facepiece mask, incorporates significant innovations: the use of a transparent polycarbonate visor, that is also a support structure for all the other components and an extremely ergonomic facial gasket for optimal wearer comfort. The first and still inimitable new- generation full face mask. Perfect visibility thanks to its integral polycarbonate visor and incomparable comfort thanks to its bellow shape face seal. Soft inner orinasal in every version; quick release harness with six adjustable straps. Controlled air flow prevents fogging of the visor. Unlike other mask designs, the full facial coverage offered by the Tecno-Pro mask provides wearers with additional face protection from flying debris. The extremely durable poly carbonate visor has been tested to resist a one inch steel ball, that was propelled at 335 MPH without cracking or damaging the face shield. The mask was also tested for heat resistance and will not catch fire or melt at 800 Degrees C (1472 F) for 5 Sec. or 200 degrees C (372 F) for a duration of 6 Min. The SGE-1000 model has a special resin coating applied to the polycarbonate visor which provides additional scratch & chemical resistance. 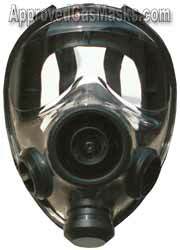 Tecnopro full face masks meet the requirements of EN 136 and are CE marked. Tecnopro full face masks can be used with all standard 40mm NATO filters in compliance with EN 148-1 (DIN 3183) and with powered respirators and airlines. Materials: Visor is made of impact resistant Polycarbonate. Inner mask is made of Anallergic silicone and the face seal is made of Butyl rubber. 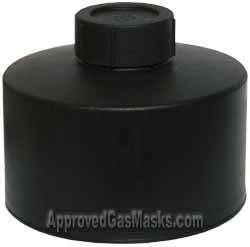 When used with NBC rated filters, this mask is certified by the manufacturer to provide NBC protection. Total weight is 530 grams. SGE-1000’s are the current masks in use by the Italian military. 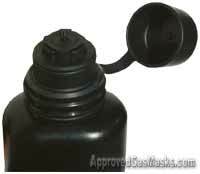 Produced under strict ISO 9002 quality standards for maximum reliability & safety. NOTE: The newest 2003 SGE design is the SGE 400 & SGE 400/3 (400/3 is available with drinking option). The SGE1000 is an excellent mask however many new enhancements have been incorporated into the SGE400 & 400/3 designs. Plus, unlike the SGE1000, the SGE400/3 is NIOSH certified, making it the ideal choice for professionals, law enforcement, military & many civilian applications. additional scratch & chemical resistance. Warning: Beware of incorrect information about SGE & ISRAELI masks. 100% of our SGE150 stock was manufactured in 2003! 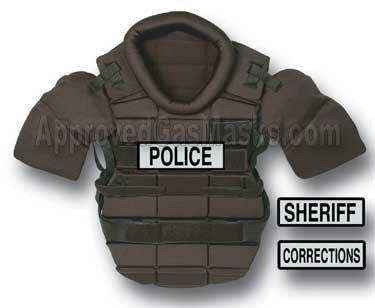 Looking for complete protection? Click here to see our protective kits for use with this mask. earpieces on regular frames won't allow a proper seal. 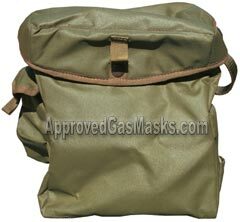 but we also carry specialty filters for MSA masks like the Advantage 1000.
pouches or unissued military surplus. They range in price from $13.50 to $54.90. Click here for more information and ordering. AGM supplies hundreds of Police Departments and Fortune 500 companies with gas masks, gas mask filters, and all types of survival gear from NBC protective suits to Potassium Iodide and medical kits. 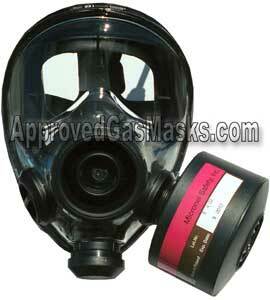 Before you purchase a cheap, used mask take a look at our new masks from MSA, SGE and more. 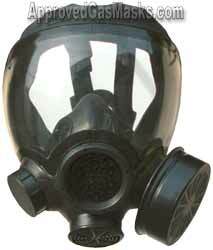 Many popular civilian gas masks are modeled after military units, like the MSA Advantage 1000. 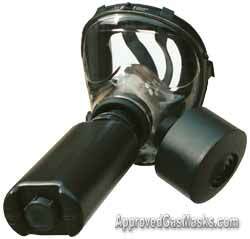 We offer brand new military masks like the MSA Millennium. 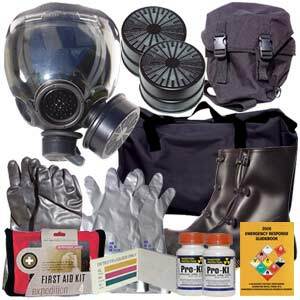 For complete Nuclear, Biological, and Chemical protection we have new and surplus NBC suits, hoods, gloves, boots and more. 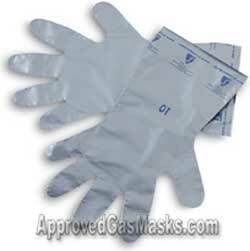 Order online or call AGM anytime for all your safety supplies. Before you buy a worthless $50 surplus mask, read information and warnings here!